This is how to make fluffy Crockpot Express white rice in your pressure cooker. Just 2 ingredients, 1 button, and it’s the perfect side dish with any meal. 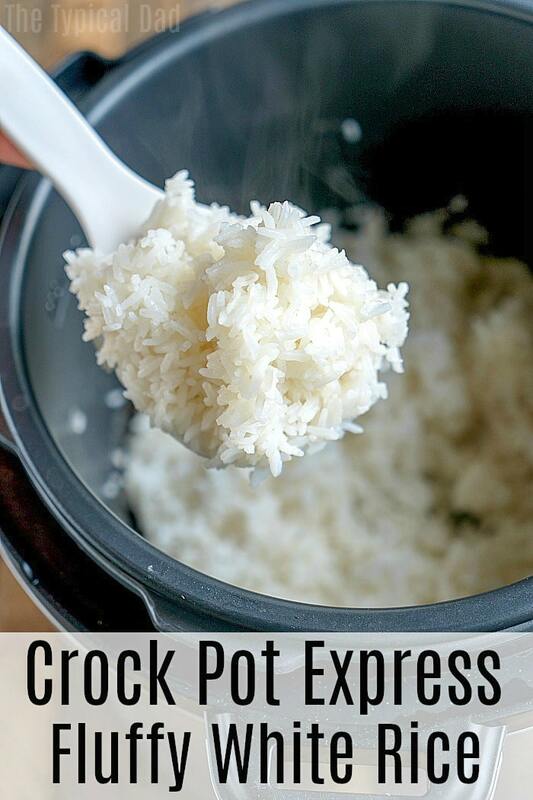 If you got one of these handy multi cooker Crock Pot Express pots you might be looking for basic recipes like how to make Crockpot Express white rice! Other than a great side dish it has been a complete meal for me a few times I will say and it’s just a staple in our house. You can find this and tons of other easy Crockpot Express recipes here too. We eat a lot of rice! I guess it is the perfect cheap side dish that all 5 of us like and it’s super easy to make rice in your pressure cooker now. Gone are the days when you had to make it on the stovetop and watch it, just throw your 2 ingredients into your pot, push the button and walk away. Then you’ll have fluffy Crockpot Express white rice when it beeps. Once the steam is released, just serve and enjoy! We have made crock pot express grits for a breakfast side dish which were good so we moved on to another basic recipe that we use all the time. If you are new to using your multi cooker pressure cooker machine it is easier than you think and I have step by step directions below on how to make this. 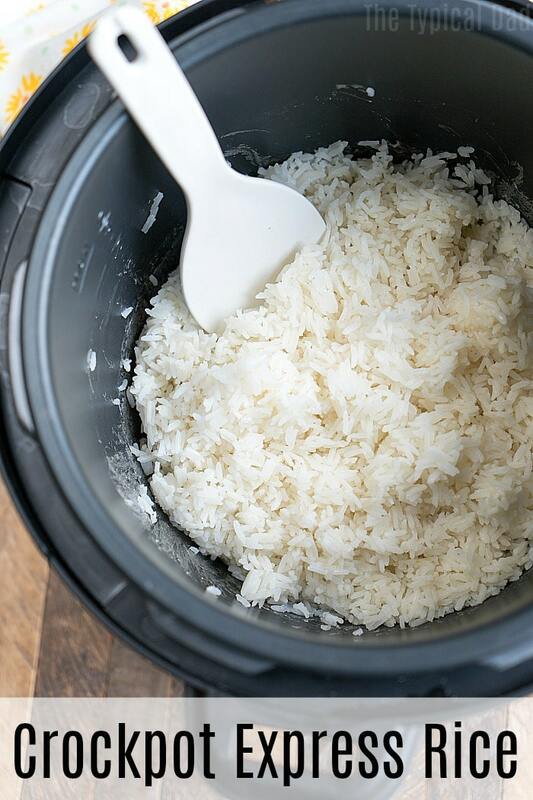 This is how to make fluffy Crockpot Express white rice in your pressure cooker. Just 2 ingredients, 1 button, and it's the perfect side dish with any meal. Put your uncooked white rice and water into your crockpot express. Close lid and steam valve and press the white rice button, press start. Do a quick release and enjoy.